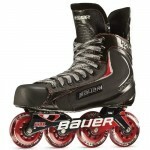 After Bauer acquired Mission, the word traveling around was that Bauer would continue to create its outstanding line of ice hockey equipment, while the Mission brand would still be used for the company’s new roller hockey gear. Apparently Bauer had a big trick up their sleeves. They have developed an entire new lineup of roller hockey skates, which are all in their 2010 roller hockey catalog that recently surfaced on the internet. The new Bauer Vapor RX:60, a top end skate, features a full texallium outsole, a hydra max liner that is abrasion resistant and moisture wicking, and a form fit 2 toungue which will help protect against shots and lace bite. The skate also comes with a Vanguard Magnesium Hi-Lo chassis, Labeda Addiction 608 wheels, and Mission Swiss 608 bearings. 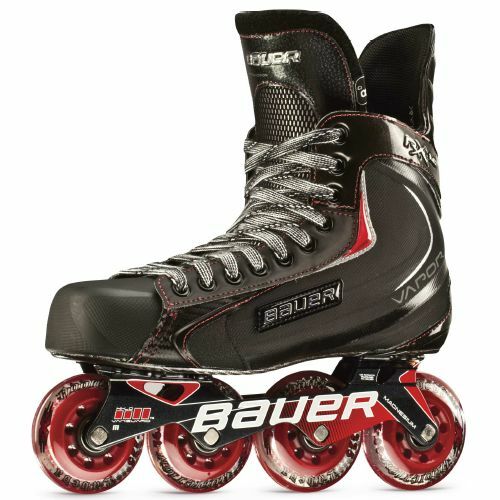 As previously stated, Bauer has created a skate to fit in every price point. The entire 2010 Bauer Roller Hockey catalog can downloaded by clicking here. Anyone shopping for a new pair of roller hockey skates might want to wait until September or October to see if they can get their feet in a pair of these.